The catastrophic events caused by Hurricane Harvey put smartphones to the test, raising the question about what our trusty mobile companions can do to help in crises like these. After all, we rely on these pocket-sized supercomputers for much of our lives, in a normal state, so surely they can be useful during natural disasters, among other grave situations one might find themselves in. Your survival plan should include your smartphone, and there are a few things you can do in advance for emergency preparedness, but you won’t be able to rely on your mobile device for everything. According to the Federal Communications Commission (FCC), only 4% of the nearly 7,800 cell sites in Harvey’s path were knocked out, affecting nearly 150,000 people. By comparison, more than 1,000 cell sites were inoperable during Hurricane Katrina in 2005, leaving millions without connectivity. In other words, communications networks are getting better at weathering major natural events like hurricanes. It’s not perfect – residents in Rockport, Texas, suffered the biggest outage last week, and therefore you can’t assume you’ll have service in these situations. Presuming there is cellular service, people are encouraged to send text messages and emails and posts notifications to Facebook and Twitter about their whereabouts and immediate needs, or to look up where local shelters are. If your smartphone doesn’t have coverage in the area you’re in during an emergency, or you don’t have an active cell plan, you can still reach 9-1-1 from your mobile phone. 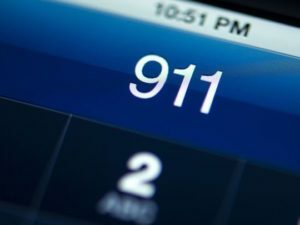 You can also text 9-1-1, perhaps if you’re unable to talk or need to be silent (perhaps in a terrorist situation), but you must first be registered for the T9-1-1 service with your wireless service provider. Because you don’t need to pay for cell service to call 9-1-1, it’s not a bad idea to keep an old and deactivated phone in your emergency kit. While not as likely, you might find yourself in a situation where you’ve got Wi-Fi, but no cellular service. But that doesn’t mean you can’t still make phone calls. Using apps like Facebook Messenger, Google Duo, Viber, and Fring lets you make free phone calls over Wi-Fi – even if there’s no cell service. Some may require you setting this up ahead of time. 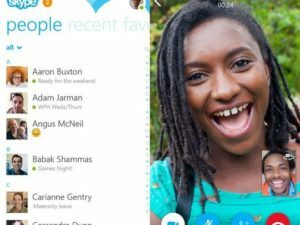 Skype is also free to another Skype user, and in the event you need to call a landline or mobile phone, it’s dirt cheap to do so at about 10 cents per call (if that), but it does require you to deposit a bit of cash (“Skype Credits”) into your account. 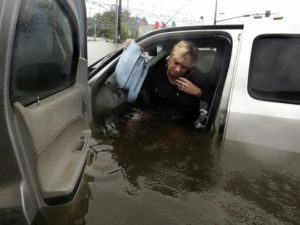 But if your phone can’t withstand water, none of this may matter, and so you have a few choices to make going forward. One is to invest in a waterproof phone, such as the latest Samsung Galaxy or iPhone models. 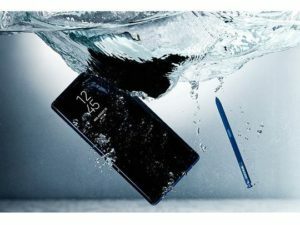 Samsung’s latest crop of devices are IP68-rated (“Ingress Protection”), meaning it could be submerged in water up to 5 feet and for up to 30 minutes, while iPhone 7 is IP67-certified for water resistance up to 3 feet, up to 30 minutes. If your current smartphone isn’t waterproof, consider a waterproof case for it. As a last resort, have some thick Ziploc bags as part of your emergency kit to lock your phone into. Even if you have cellular service in your area, you may not have power, or be able to access a working power outlet. And without power, your smartphone is as useless as the box it came in. And so it’s important to have a backup power solution, such as a portable battery charger (a.k.a. “booster”) on hand, and keep it charged up, too. 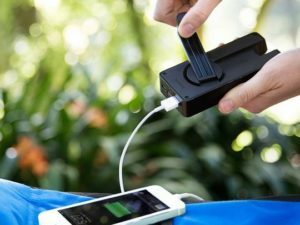 An even better idea is to pick up a battery booster for your phone with a hand-crank, such as this $29 Eton model, so you can charge up the battery using the integrated hand turbine power generator. If your vehicle is around during an emergency, you can plug your devices into your car’s 12-volt port (“cigarette lighter”). You might also consider a backup phone that takes batteries. Some also keep a cell signal booster for their home or vehicle. If you don’t have cell service and need to find a way out of town in case of an emergency, will your mapping function work on your smartphone? Yes it can. Just like the standalone GPS navigation units we used to mount to our windshields or dashboards, your smartphone can still help you get from point A to point B without cell service – by solely relying on the GPS sensor inside the device. But there’s two things you need to know. 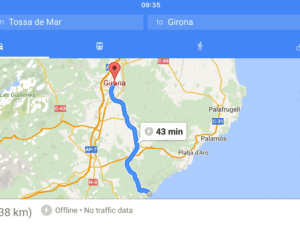 One, you’ll need to download map apps that don’t require service – such as Navmii, CoPilot Premium, or Navigon – or take advantage of Google Maps’ new offline feature, but you’ll need to download maps ahead of time. Secondly, while GPS directions will work without service, some of the extras, like real-time traffic, will not work without a mobile data connection. Accuracy may also be off as smartphone use GPS-A (“assisted”) technology, aided by cell towers to help you in areas with tall buildings, tunnels, and other challenges to communicating with satellites about the Earth. A handful of free emergency preparedness apps can help you in the event of a crisis – even if you don’t have cell service. 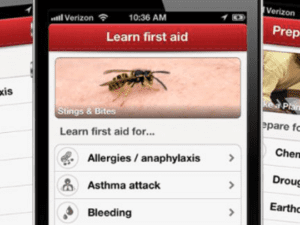 Red Cross offers numerous apps, in fact, including a Shelter Finder app, First Aid, Hurricane app, Earthquake, Wildfire, and others. Each one includes checklists, advice during emergency situations (from performing first aid and CPR to handling food and water during power outages), quizzes, signing up for emergency notifications, and more. Similarly, the official FEMA (Federal Emergency Management Agency) includes information for all kinds of disasters, including tips to creating an emergency kit, and emergency meeting locations, maps of important locations, and so on. Finally, the aptly-named Disaster Alert app offers a real-time map that shows activate (or impending) incidents, deemed as “potentially hazardous to people, property, or assets” according to the PDC DisasterAWARE application. This includes hurricanes, floods, earthquakes, tsunamis, and volcanos, as well as “manmade” emergency situations. This story originally posted to USAToday.com.